Unidentified Man with the drill breaking up asphalt on the road. 1970? Ice breakers break up ice, and supplies are unloaded from a ship. 1970�Coast Guard ice breakers break up ice. Portrait of a young girl with sad eyes after a break up. 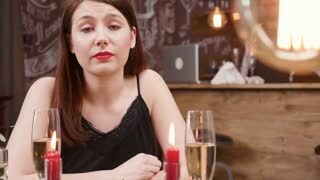 Young caucasian girl looks unhappy at a dinner table in a restaurant. Angry girlfriend finds out her boyfriend is cheating and slaps him at a romantic date. A couple breaking up. Young woman leaving the date dissapointed. A distant tractor is working on a plain at the foot of the Eynali Mountain Range. Green fields break up the monotony of soil dunes. 1950s: Pile of corn cobs. Men dump crate of corn cobs into machine and man hauls bag away on his shoulder. 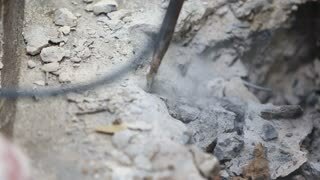 Men use tools to break up dirt. Unhappy girlfriend is sitting on bed, crying touching her face and looking at window while her boyfriend is lying in bed. Break-up, family crisis and sad people concept.